62445301681 ;jsessionid=10179olf0t2i49wqqysruu44l8ns9.10179?wicket:interface=:0:beta-club:modal-container:modal-content:content:body:login-rixty-form:visibilityContainer:fbconnect::IActivePageBehaviorListener:1:2&wicket:ignoreIfNotActive=true It seems like your browser is preventing Facebook Authentication. This happens when your browser's Tracking Protection is enabled. To continue logging in via Facebook, please turn off Tracking Protection or use a different browser. 62445301681 ;jsessionid=10179olf0t2i49wqqysruu44l8ns9.10179?wicket:interface=:0:login-panel-small:login-small:login:modal-container:modal-content:content:body:login-rixty-form:visibilityContainer:fbconnect::IActivePageBehaviorListener:1:2&wicket:ignoreIfNotActive=true It seems like your browser is preventing Facebook Authentication. This happens when your browser's Tracking Protection is enabled. To continue logging in via Facebook, please turn off Tracking Protection or use a different browser. 62445301681 ;jsessionid=10179olf0t2i49wqqysruu44l8ns9.10179?wicket:interface=:0:login-panel-small:login-small:signup:modal-container:modal-content:content:signup-form:fbconnect::IActivePageBehaviorListener:1:2&wicket:ignoreIfNotActive=true It seems like your browser is preventing Facebook Authentication. This happens when your browser's Tracking Protection is enabled. To continue logging in via Facebook, please turn off Tracking Protection or use a different browser. 62445301681 ;jsessionid=10179olf0t2i49wqqysruu44l8ns9.10179?wicket:interface=:0:redeemcode:modal-container:modal-content:content:body:login-rixty-form:visibilityContainer:fbconnect::IActivePageBehaviorListener:1:2&wicket:ignoreIfNotActive=true It seems like your browser is preventing Facebook Authentication. This happens when your browser's Tracking Protection is enabled. To continue logging in via Facebook, please turn off Tracking Protection or use a different browser. Go to www.trovegame.com/redeem and follow the instructions to redeem your Trove® Electronic Pin." ©2016 Trion Worlds, Inc. Trion, Trion Worlds, Trove, Glyph, and their respective logos, are trademarks or registered trademarks of Trion Worlds, Inc. in the U.S. and other countries. All other trademarks and logos belong to their respective owners. All rights reserved." 62445301681 ;jsessionid=10179olf0t2i49wqqysruu44l8ns9.10179?wicket:interface=:0:microsite:microsite-inner:epins-wrap:epin:0:checkout-form:price-btn:modal-container:modal-content:content:body:login-rixty-form:visibilityContainer:fbconnect::IActivePageBehaviorListener:1:2&wicket:ignoreIfNotActive=true It seems like your browser is preventing Facebook Authentication. This happens when your browser's Tracking Protection is enabled. To continue logging in via Facebook, please turn off Tracking Protection or use a different browser. "Enhance your experience in Trove by becoming a Patron! With a 15-Day Patron Pass you’ll enjoy huge boosts that’ll have you leaping to greater heights (literally!) in no time. Charge into dungeons, explore countless realms, and craft epic loot with supreme confidence as you fulfill your destiny of being best in the block! +50% Experience - Level up faster with +50% more XP gain. Onward to greatness! +4 Chaos Factor - Put chaos in your favor and get +4 more loot-filled Chaos Chests each day. +2 Flask Capacity - Adventure longer and harder with +2 more Flasks to boost and heal you. +5 Jump - Leap to greater heights with +5 Jumps added to your multi-jump stat. +50 Lasermancy - Mine ore at super speed with a boost to your lasermancy. +100% Crafting Speed - Become a master constructor and craft blocks, bombs, and more twice as fast. +200 Magic Find - Find and collect stronger, more powerful loot in all of your adventures! +100% Battle Factor - Earn up to twice as many Battle Boxes each week. 2x Battle Box Drop Rate - Get all your Battle Boxes twice as fast. 62445301681 ;jsessionid=10179olf0t2i49wqqysruu44l8ns9.10179?wicket:interface=:0:microsite:microsite-inner:epins-wrap:epin:1:checkout-form:price-btn:modal-container:modal-content:content:body:login-rixty-form:visibilityContainer:fbconnect::IActivePageBehaviorListener:1:2&wicket:ignoreIfNotActive=true It seems like your browser is preventing Facebook Authentication. This happens when your browser's Tracking Protection is enabled. To continue logging in via Facebook, please turn off Tracking Protection or use a different browser. "Enhance your experience in Trove by becoming a Patron! With a 30 Day Patron Pass you’ll enjoy huge boosts that’ll have you leaping to greater heights (literally!) in no time. Charge into dungeons, explore countless realms, and craft epic loot with supreme confidence as you fulfill your destiny of being best in the block! 2x Battle Box Drop Rate - Get all your Battle Boxes twice as fast. " 62445301681 ;jsessionid=10179olf0t2i49wqqysruu44l8ns9.10179?wicket:interface=:0:microsite:microsite-inner:epins-wrap:epin:2:checkout-form:price-btn:modal-container:modal-content:content:body:login-rixty-form:visibilityContainer:fbconnect::IActivePageBehaviorListener:1:2&wicket:ignoreIfNotActive=true It seems like your browser is preventing Facebook Authentication. This happens when your browser's Tracking Protection is enabled. To continue logging in via Facebook, please turn off Tracking Protection or use a different browser. 62445301681 ;jsessionid=10179olf0t2i49wqqysruu44l8ns9.10179?wicket:interface=:0:microsite:microsite-inner:epins-wrap:epin:3:checkout-form:price-btn:modal-container:modal-content:content:body:login-rixty-form:visibilityContainer:fbconnect::IActivePageBehaviorListener:1:2&wicket:ignoreIfNotActive=true It seems like your browser is preventing Facebook Authentication. This happens when your browser's Tracking Protection is enabled. To continue logging in via Facebook, please turn off Tracking Protection or use a different browser. 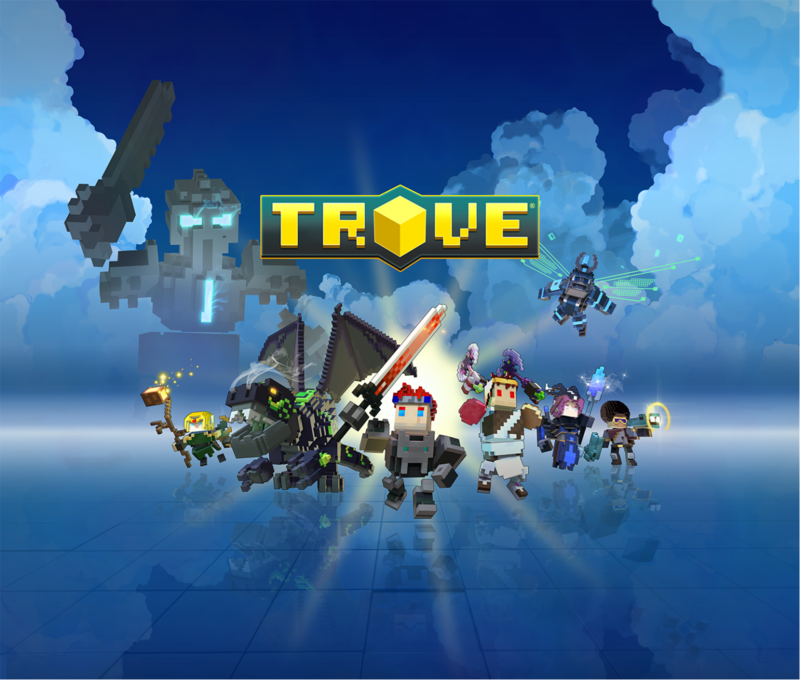 Welcome to Trove™, an open-ended voxel adventure through countless realms filled with quests, chests, and enemies great and small. Explore and create your way through fully buildable/destructible worlds where your next discovery is always around the corner, under the surface, or over the crafting table. We’re launching Trove in alpha so we can develop openly and collaboratively with you earlier than ever before. Your adventure begins with one click. Sign up for alpha. We can’t wait to see what you'll create! Visit the Trion Worlds website at www.trionworlds.com and login to your account. If you don’t already have an account select ‘Register’ at the top of the page. Once you have logged in, you will be taken to your game’s Manage page. Select the ‘Buy’ option. 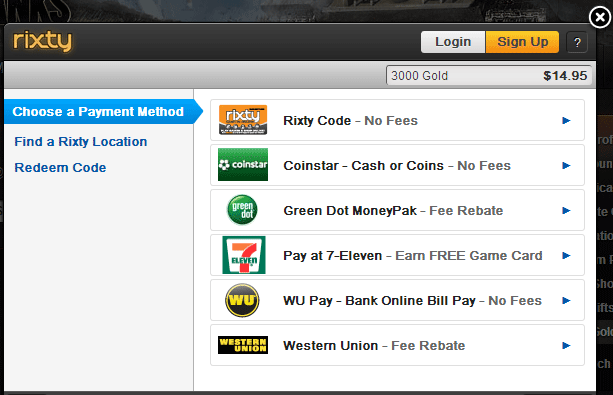 Chose the in-game item you want to buy and then press ‘Continue to Payment’. 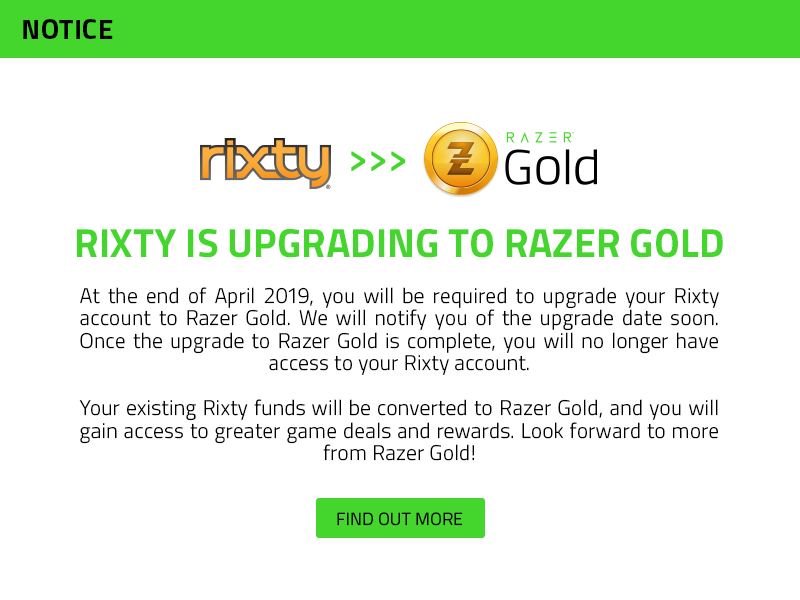 Select Rixty as the form of payment and confirm your purchase.